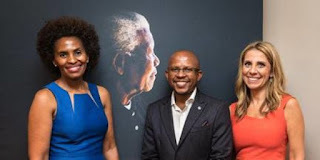 Nunu Ntshingila (L), Sello Hatang and Nicola Mendelsohn (R) at the Nelson Mandela Foundation. SOUTH AFRICA (HUFFPOST) -- To build on, protect and maintain the legacy of Madiba, the Nelson Mandela Foundation and Facebook will be making the Mandela archives available to all. Social media network Facebook announced on Monday that it will embark on a three-year partnership to support the Nelson Mandela archive based at the Nelson Mandela Foundation (NMF). The company will work with the foundation to document and preserve the archives of the life and times of Nelson Mandela, ensuring that they are made accessible to all in a single online collection. It will further support the foundation on social media with Facebook Live streaming of key global events throughout Madiba's centenary year. The partnership aims to build on, protect and maintain the legacy of Nelson Mandela. 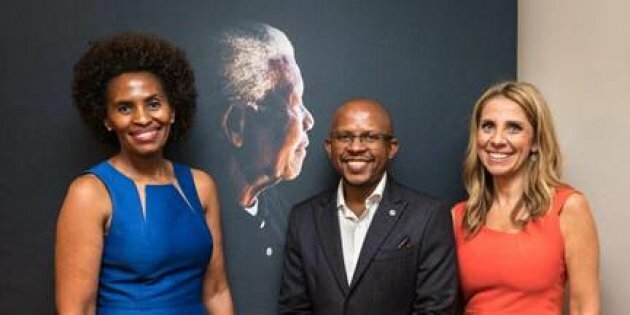 Nunu Ntshingila, regional director of Facebook Africa, said Facebook is proud to be associated with the great work that the NMF is doing in preserving Madiba's legacy – and also facilitating dialogue around key issues. "Our contribution will ensure that this work can continue, while making his life's works and learnings accessible to all," Ntshingilla said. Multiple projects throughout 2018 are planned by the foundation, and they will allow the global community to celebrate Mandela's lifelong commitment to making a positive impact in society. "The partnership with, and the support from Facebook will allow the foundation to achieve its objective of reaching different parts of the world, with the aim of building value-based societies." said NMF chief executive Sello Hatang. "We hope that in the end we can look back and say we were able to use Madiba's centenary to build a world of his dreams."